and the treachery of their leaders. Sometimes it seems as though we are being bombarded with fake news coming at us from all directions, even from the most respected sources. James C. Capretta is a resident fellow and holds the Milton Friedman Chair at the American Enterprise Institute (AEI), where he studies health care, entitlement, and US budgetary policy, as well as global trends in aging, health, and retirement programs. Given Mr. Capretta’s background, and that of the publisher, the article is stunning in the degree of misinformation — the “fake news” — it provides. This serves as a warning that the article is absolutely going to be filled with fakery. The federal government’s “debt” is nothing more than the total of deposits in T-security (T-bill, T-note, T-bond) accounts. When you purchase a T-security (aka “lend to the government”), you instruct your bank to take dollars from your checking account and deposit them into your T-security account. There, your dollars remain. Prior to maturity, there never is a time when the dollars in your T-security account are removed. It always contains the dollars you put in, plus any interest dollars the federal government adds. You can check your account balance any time, night or day, and your money always will be there. To pay you back, when your T-security matures, the federal government returns your money, plus interest. The government takes the dollars from your T-security account and sends them back to your bank, to be re-deposited into your checking account. No tax dollars are involved. No one’s family is liable for anything. The dollars that exist in the T-security “debt” accounts are returned. The federal government has the power to pay off the entire “debt” today, if it chooses, simply by sending existing dollars from T-security accounts back to the checking accounts of T-security owners. As the economy heats up, the federal government’s borrowing costs are set to soar. The most recent budget projections from the Congressional Budget Office (CBO) show the government’s annual interest payments on federal debt more than doubling over the next decade — from 1.5 percent of GDP in 2018 to 3.1 percent of GDP in 2027. Higher borrowing costs threaten to make the government’s already daunting fiscal challenges even more intractable. The U.S. government, unlike state and local governments, is Monetarily Sovereign. As such, it has the unlimited power to create its own sovereign currency, the U.S. dollar. The very first dollars, created 240 years ago, were created from thin air by laws that were created from thin air. The federal government sends instructions, not dollars, to the creditors’ banks, instructing the banks to increase the balances in the creditors’ checking accounts. When the banks do as instructed, brand new dollars instantly are created and added to the money supply. Paying federal bills actually creates new money. 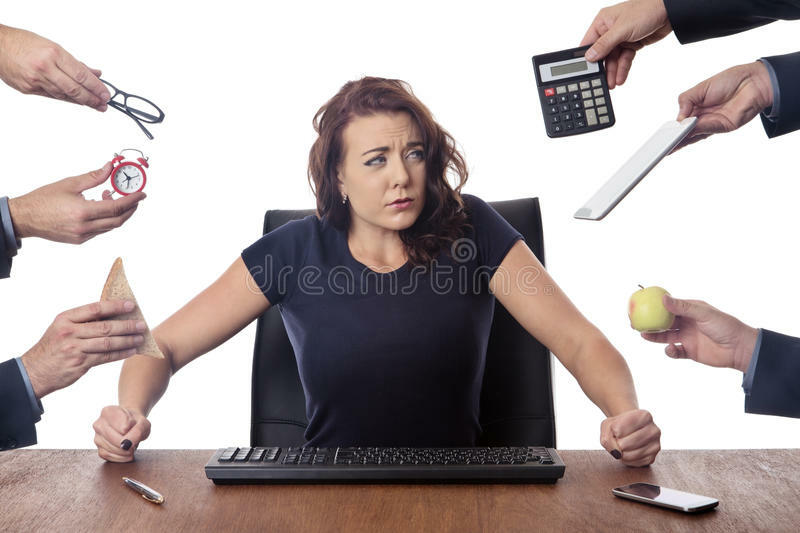 What then are the “daunting fiscal challenges” for a government that never can run short of money, and in fact, creates new money by the very act of paying bills? From 2009 to 2016, the government ran a cumulative deficit of $7.3 trillion. 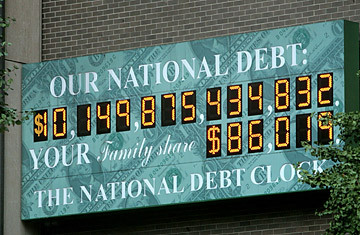 Every year thereafter, media “experts,” economists, and politicians called the federal debt “a ticking time bomb.” Today, the federal debt is $15 trillion — a gigantic 37,500% increase — and that “time bomb” hasn’t exploded. The pundits have been wrong for 78 years, yet they still bemoan the debt. At the end of 2016, federal debt reached 77 percent of annual GDP — up from 39 percent at the end of 2008.
a Debt/GDP ratio, for a Monetarily Sovereign nation, is meaningless. Which nations are more likely to be unable to pay their bills? Which nations have the strongest economies? What does the Debt/GDP ratio tell you? In 2008, the federal government made $253 billion in net interest payments on debt that was $5 trillion at the end of fiscal year 2007, for a 5 percent average interest rate on the debt. The government made only $240 billion in interest payments in 2016, although the debt had more than doubled to $13.1 trillion at the end of fiscal year 2015, for a 1.8 percent average interest rate. It’s hard to know what point Mr. Capretta thinks he is making, but the more the federal government pays in interest, the more stimulus dollars it pumps into the economy. As monetary stimulus ends, and interest rates move toward more normal levels, the federal government will be required to pay higher rates on the funds it borrows. That’s a good thing. The more federal “debt,” and the higher the interest rates, the more stimulus the private sector receives. I don’t think Mr. Capretta understands this basic fact. But even a partial normalization of interest rates would dramatically increase federal costs, making it even more difficult for policymakers to get the nation’s fiscal house in order. The nation’s “fiscal house” (Does this mean federal debt??) always is “in order.” It was “in order” in 1940 when the debt was $40 billion; it is “in order” today when the debt is $15 trillion; it will be “in order” years from now, when the debt is many trillions higher. Moreover, the added interest expense on the debt is likely to far exceed the added revenue from stronger economic growth. Above, Mr. Capretta writes what has become known as “The Big Lie” — the fake news that federal spending is funded by federal taxing. While state and local taxes do fund state and local spending, federal taxes do not fund federal spending. Even if all federal tax collections fell to $0 — all FICA, all payroll taxes, all business taxes, all sales taxes, all luxury taxes, all taxes — even then, the federal government could continue spending, forever. The federal government was able to borrow liberally over the past decade on the cheap, thereby masking the severity of the nation’s fiscal problems. As interest rates rise, the full scale of the budgetary challenge will be more visible. The federal government, having the unlimited ability to create dollars, has no need to borrow dollars, and indeed, does not borrow. It accepts deposits in T-security accounts, some of which actually are owned by an agency of the federal government, the Federal Reserve. The purpose of the Big Lie is to widen the Gap between the rich and the rest. The keys to limiting future deficits and debt are gradual changes in spending on the major entitlement programs, to lower their costs over the medium and long term. Social Security and Medicare should be modified for future entrants to encourage longer working lives, more reliance on private savings in retirement, and greater efficiency in how health services are delivered to patients. Why do the media, the politicians, and the economists promulgate the Big Lie? A few might be ignorant of the facts, but most are bribed by the rich, who what the Gap widened. The media are bribed by advertising dollars and by ownership. The politicians are bribed by campaign contributions and by promises of lucrative employment later. The economists are bribed by university contributions and by lucrative jobs in think tanks. The long-promised Trump plan to rebuild the nation’s roads, bridges, and other public works could finally be released in the next few weeks — the president is expected to tout his program in Tuesday’s State of the Union address, and more details may come in February. Everyone likes better roads and water systems, but many Republicans will balk if a gas tax hike is needed to pay for it, and Democrats have expressed doubts about what they see as its over-reliance on local government and private dollars. Our Monetarily Sovereign government neither needs nor uses taxes to pay for anything, nor does it need or use local governments and private dollars. The federal government pays for everything by creating brand, new dollars, ad hoc. How to fund the program is the big unanswered question, both on the local and the federal side, noted Frank Manzo, policy director for the Illinois Economic Policy Institute, a nonpartisan think tank whose members include representatives from the construction industry. Complete nonsense, just mere repetitions of the Big Lie. It comes at you from all directions. The Trump plan wants 25 percent of the total appropriation to go to rural infrastructure programs, and requires that no individual state can receive more than 10 percent of the amount available. See the illogic? States are monetarily non-sovereign. Dollars are not their sovereign currency. They do not have the unlimited ability to create dollars. The federal government is Monetarily Sovereign. Dollars are its sovereign currency. It does have the unlimited ability to create dollars. Yet the federal government wants the states to pay 90% of the infrastructure cost. Absolutely insane. The administration has not said where the federal portion of the money would come from, other than unidentified budget cuts. Another possible source is an increase in the federal gas tax, which has been 18.4 cents a gallon since 1994 and finances the Highway Trust Fund. Illinois’ gas tax is 19 cents and has not been raised since 1991. In only two short paragraphs: Three misleading statements. The increase in the federal gas tax not only is unnecessary, and would not fund any spending, but it is a regressive tax, falling most heavily on the 99%, thereby widening the Gap between the rich and the rest. There is no “Highway Trust Fund.” Federal Trust Funds (Social Security Trust Fund, Medicare Trust Fund, etc.) all are bookkeeping fictions. There can be no purpose of a trust fund for an entity having the unlimited ability to create dollars. Illinois Congressman Dan Lipinski, the senior Illinois member on the House transportation committee, said relying on public-private partnerships, also known as PPP, has a limited usefulness. It can work for toll roads because a private investor can get back his money, but would not work for projects like transit and rural roads, which benefit the people who use them but do not provide a source of income for investors, Lipinski said in an interview. There is no use for a PPP, when one of the partners, the federal government, has the unlimited ability to pay for it all. Another concern of Democrats is that the administration will find the $200 billion in federal money by taking it out of other infrastructure programs — robbing Peter to pay Paul, when Peter does not have much, to begin with. Taking dollars out of “other infrastructure programs” does not pay for anything. Ken Simonson, chief economist with the Associated General Contractors of America, said his organization has long supported indexing fuel tax rates for inflation and also trying to find other funding sources for road building including the broader use of tolls and legislation to allow states to do more public-private partnerships. Mr. Simonson is an economist, who should know better. Federal fuel taxes do not pay for anything (though state and local fuel taxes do pay for state and local spending). And so it goes. Fake news from all sides. It’s no wonder the public believes the Big Lie that spending by our government, having the unlimited ability to create its sovereign currency, relies on federal taxes. It doesn’t take much thought to realize that is a ridiculous proposition. It’s as ridiculous as saying that if the U.S. passes laws, it’ll have to ask the public for some laws, before any more are passed. The most important problems in economics involve the excessive income/wealth/power Gaps between the have-mores and the have-less. Not only does Mr. Capretta not understand these principles, neither does Paul Ryan, nor anybody in Washington, at least not that they are admitting. The more federal “debt,” and the higher the interest rates, the more stimulus the private sector receives. I have been reading you for a number of years now, and much appreciate the education you provide on these matters. But as the main lessons gradually sink in, I am now looking for a more nuanced understanding. And it occurs to me that people buy T-bills with “extra” money they don’t need to spend. So I am beginning to doubt that giving them interest on their savings will “stimulate” the economy, at least not in the same way that giving people who lack financial resources, who would spend any increased income, would stimulate it. I wonder if you would be willing to comment on that point? Let’s say you buy a $1,000 T-bill. You deposit $990 in your T-bill account, and after a year you receive $1000 (including $10 of interest). What will you do with that extra $10 worth of interest you received? I would likely try to roll the full $1000 into a $1010 T-bill if I could. Granted, a lot of that interest does go to entities other than already-wealthy individuals, entities such as pension funds which will indeed spend it. Actually, you could not roll it into a $1010 bill. There is no such thing. Now what will you do? Well, I would probably stick it in my savings account and wait until enough accumulated there to buy another bond. This is why I am asking. I guess what I’m really asking is whether savings per se is stimulative? I hadn’t really considered that perhaps a lot of investors use interest from T-securities as an income source. Do we know how much interest is subsequently spent and how much simply compounds savings? And does this even matter? Will people stop saving and start spending once they feel secure, once they have saved “enough”? Is that the answer to my question? Thank you again for your thoughts and guidance. If you put it in your savings account, it will become part of your bank’s reserves, which it will use in various ways, all beneficial to the economy. I don’t know the answers to your other questions. But bottom line, federal deficit spending, which adds dollars to the economy is stimulative, though it may take a wide variety of paths. To visualize this consider two alternatives. 1. Adding dollars to the economy. 2. Subtracting dollars from the economy. Now imagine where each takes you. Thank you, I get it. It’s not that savings is stimulative, it’s that more money available is, and that money will be used even if I’m not spending it. Yes. There are certain exceptions. Dollars sent overseas for imports will not immediately be stimulative, though they eventually come back as payments for our exports. Polar bears in trouble – NOT happening FAKE news. Sea Ice & caps melting – NOT happening FAKE News. And no ice anywhere in the cryosphere is melting or behaving in anyway it hasn’t for decades. Sea levels rising – NOT happening FAKE news. Open this link and a map will appear with numerous multi colored arrows. Click on an arrow and the data for that location will appear, e.g. Miami. In the pop up window select “linear trend”. 2.39 mm/y, that’s 0.094” 3/32 of an INCH each year!!!! OOOOHHHHH SCARY!!!! Which is NOT actually measured but computer MODELLED!!!! 0.78 ft over 100 YEARS or a WHOPPING 9 inches!!!! Alarmists pushing the dangers of sea level rise are nothing but a pack of lying weasels!!! Temperatures rising – NOT happening FAKE news. These useless MSM millennial nit-twits pretending to be reporters can’t do the most basic of research, just spout the editorial/party/progressive/elitist FAKE news narrative. As much as the LYING MSM LIES about climate change one can bet they lie about pretty much everything else. Maybe the MSM could apologize and start delivering fact based non-FAKE journalism. With freedom comes responsibilities. Betray those responsibilities, lose those freedoms. Obviously, you have been educated in climatology, and know more than the 95% of climatologists. Where did you get your degree in climatology? Masters? Doctorate? Just wondering. They’ve all been wrong before. I think I have that “science” thing covered. Decades ago I earned and was awarded a BSME degree (same as Bill Nye) which requires demonstrated competence in chemistry, physics, heat transfer, thermodynamics, fluid dynamics, statistics, algebra, calculus, etc. Get the idea? Fresh out of school I sat for the 8 hour exam for the EIT and years later the 8 hour exam to become a registered professional engineer. I have applied that knowledge for over 35 years where my work has to actually work. I have followed CAGW since 1989 and have read related materials extensively. Much of my work has been peer reviewed on open climate change blogs, not just a closed system of good old boys. My postings are totally my own, not handed to me on a clipboard in some troll’s minimum wage cube, and as clearly noted several times based on IPCC AR5 and other references. I’m tired of hearing wet behind the ears millennial sociologist/journalist progressives who know nothing about physics, chemistry, heat transfer, thermodynamics or how the earth heats and cools, who obviously get their science from the MSM propaganda machine and have happily downed the CAGW Kool-Aid, pontificate on global warming, greenhouse gases and the evils of modern mankind. There is nothing special about “climate” science. They have to follow the same fundamentals as everyone else. Now, do you have any specific scientific based criticism or rebuttals to my skeptical postings or just the typical hysterical ad hominem crap? Here are the rebuttals to your right-wing, fascist conservatives who disagree with the majority of climatologists as well as disagreeing with the Theory of Evolution, the EPA, the FBI, the CIA, the DOJ and all the women who say Trump groped them: https://climate.nasa.gov/scientific-consensus/. Let me know if ever you would like to escape from the cult. We’ll do an intervention.